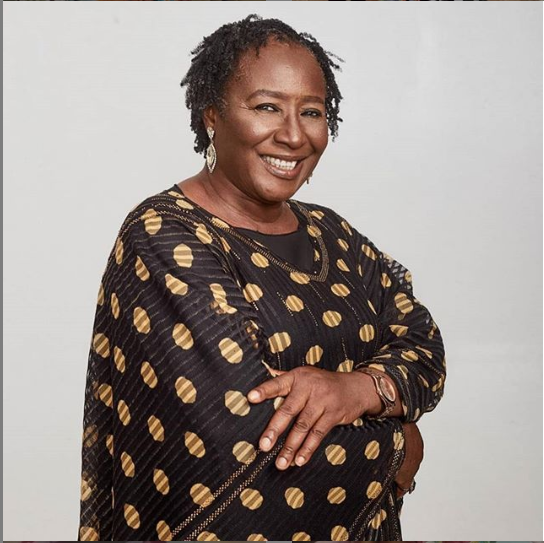 Nigerians are asking about the whereabouts of the parents and especially mother of Success Adegor, the little schoolgirl who literally walked into fame a few weeks back after her “dem go flog tire” line won sympathy and admiration from social media users. 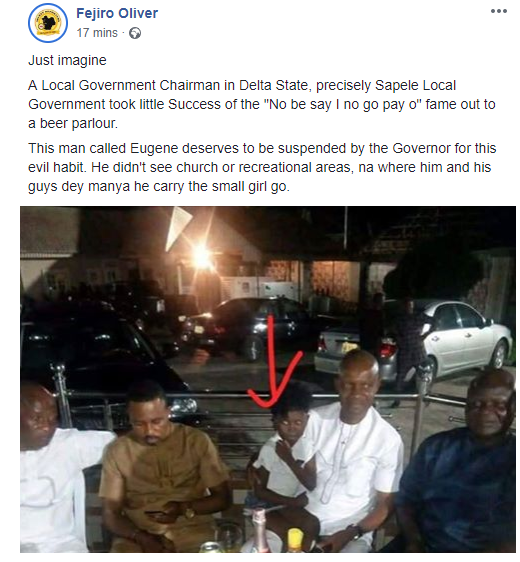 This enquiry is tied to the emergence of a photo of little Success in a mini skirt sitting on the lap of a much older man, who reportedly is the chairman of Sapele Local Goverment Area of Delta state. 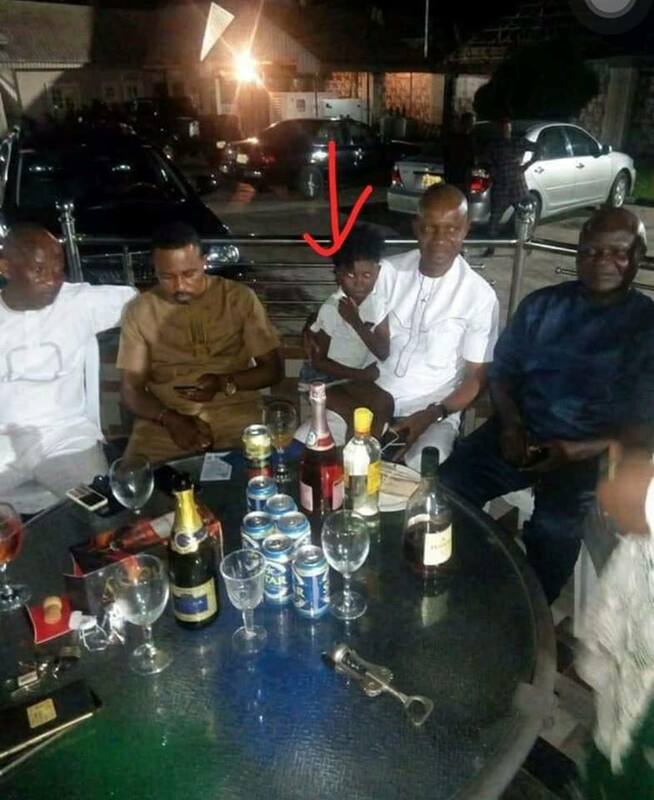 In the photo which was obviously taken at night time, the 7-year-old appeared sitting on the chairman’s lap in company of other grown men with alcohol servings on the table they were seated around. This is wrong on all levels. What is a 7 yr old child doing out so late at night in such an environment? I understand she came out tops in her class despite being sent home from school frequently for not paying her school fees. The future is bright for this girl child and there is no room for distractions. Her parents MUST be guided. 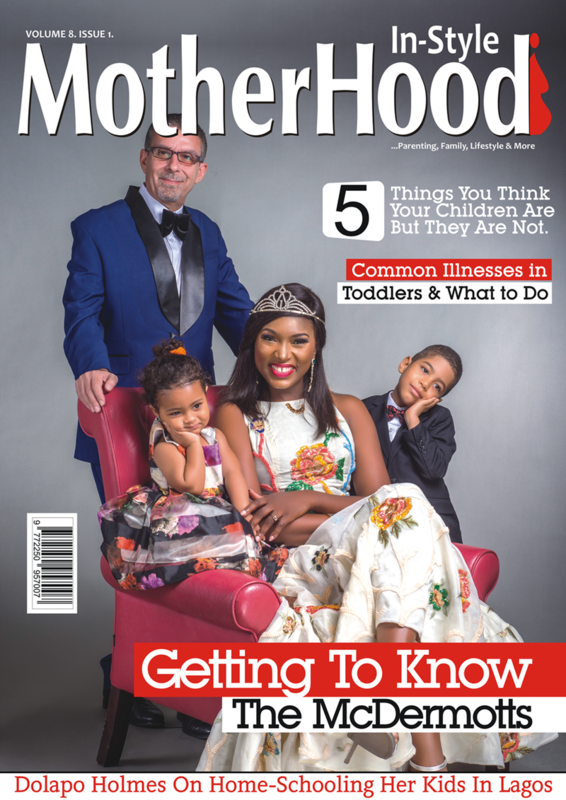 Enraged social media users have also condemned the photo and bashed the men; whom they say have no business keeping a 7-year-old in their company at night, gathered around a table of alcoholic drinks without being faintly related to her. 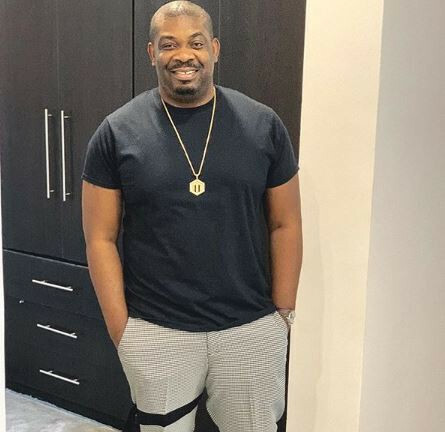 The public outcry may have brought some embarrassment to the men and the Local Government Chairman in particular, whom the activist, Fejiro, now alleges is threatening his life.